William C. Seitz and Irma S. Seitz; gift 1990 to NGA. 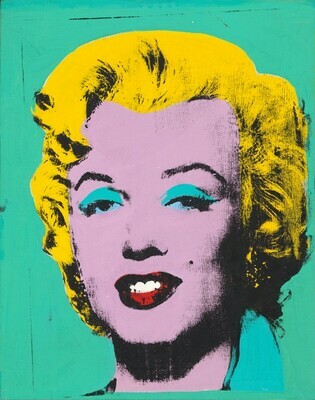 Andy Warhol: A Retrospective, Museum of Modern Art, New York, 1989, no. 207, color repro. Art for the Nation: Gifts in Honor of the 50th Anniversary of the National Gallery of Art, National Gallery of Art, Washington, D.C., 1991, 426-427, color repro. Color Chart: Reinventing Color, 1950 to Today, The Museum of Modern Art, New York, 2008, pl. 13.